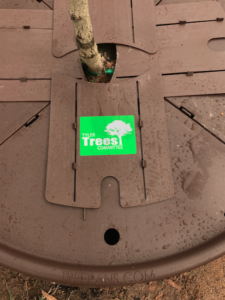 Customers often ask for references of cities, organizations, and people using TreePans. 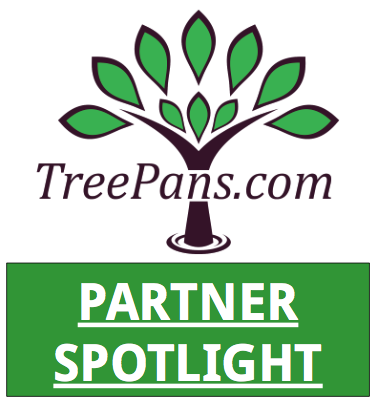 We thought it was time to share our first ever partner spotlight, featuring one of our favorites. Cody Goldman is the city Arborist in Tyler, Texas. A young man with an open mind, tenacious work ethic, and the unmatched enthusiasm to improve his community through urban forestry. First of all, Cody is only 3 years into his position in Tyler and is making waves across the state of Texas. He has won awards, revamped the forestry program, and made a name for himself throughout the community. Additionally, he has a can-do attitude and work ethic that is unmatched. Our brief phone calls normally end in one phrase… “let’s make it happen!” It is easy to feed off of his energy and want to work harder. Cody started with just 6 TreePans. He wanted to test how the product held up to Texas heat, fire ants, and performed against weed suppression. After a successful trial, we met up with Cody at the Texas Tree Conference. He told us, “I need these for my arbor day event.” He was excited with how TreePans performed, optimistic about the labor savings, and eager to get more TreePans supporting his ever-growing canopy. Today, our relationship with Cody has grown from client, to admiration, to friend. Cody Goldman is truly doing amazing things for his city and community and we are lucky to play a part. 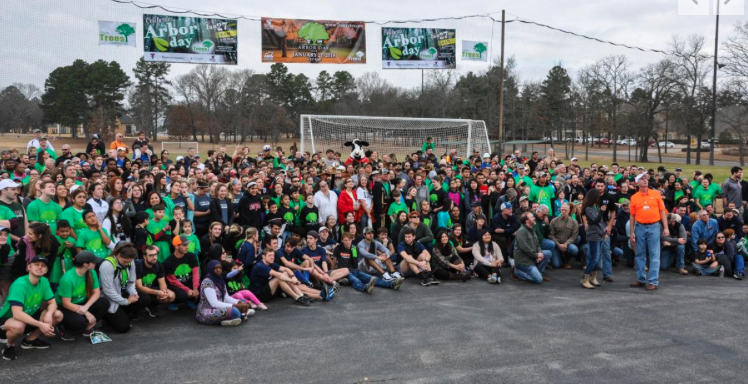 Contrast to past events, Tyler Arbor Day has grown from a few trees with a couple dozen volunteers, to over 1,000 volunteers and a couple hundred trees! Not to mention the thousands given away at seedling giveaway events. –> find out more! Certainly, we couldn’t miss the Tyler Arbor Day Celebration! Our team was in attendance as a sponsor and participated in the festivities and tree plantings. Check out this video of the celebration! Because of past success, TreePans were used to protect these trees from maintenance damage, suppress weeds, and promote establishment. Furthermore, we are excited to continue to partner with Cody, Tyler Trees Committee, the City of Tyler and all of its tree planting. There are not enough good things we can say. Cody’s heart is in the right place and he will run through walls to get the job done to improve his city. Our company commits itself to supporting Cody’s efforts to better protect and support establishing trees throughout Tyler. Thank you Cody, for being such a great individual, partner, and friend. We wish you nothing but the best in all that you do!